You can now get eleven percent of your first deposit as bonus at the Europa Casino, Titan Casino and Casino Tropez as a celebratory bonus this New Year, if you sign up as a new player. Claiming this bonus is simple. When you register at one of the Play Tech powered Euro partners casinos you can profit from the regular welcome bonus and claim the bonus by contacting the customer service through email, chat or phone and give the code 2011. You will also enjoy a hundred percent regular welcome bonus on your first twelve deposits. Casino Tropez offers two hundred percent welcome bonus, on your first six deposits. Established in the year 2000, Casino Rewards will be celebrating its tenth anniversary. 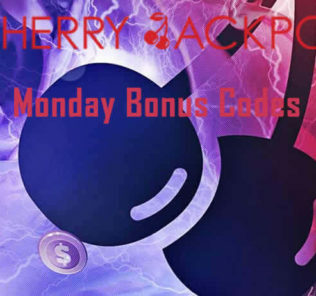 It is giving away a massive amount of $10 million to commemorate this auspicious moment in weekly progressive jackpots and casino bonuses. The group has proclaimed that the target has been achieved well ahead of schedule! However, the group has revealed that the 40,000 participants who signed up for their promotional offer have an amazing chance of winning another $10 million in the upcoming three weeks. No participant will go home empty handed and will definitely win something or the other. Littlefield Corporation has just acquired a new bingo hall in South Carolina through licensed wholly owned corporate subsidiaries. The company announced this acquisition through a press release in November 9, 2010. This acquisition will definitely have a positive impact when the transaction and transitional costs have been settled. The company announced that it will continue to look at similar opportunities. Littlefield Corporation is headquartered in Austin, Texas and is the largest public owner of charitable bingo halls in USA. They own and operate 38 halls in Texas, South Carolina, Alabama and Florida. The Mega Million lottery was offering bigger payouts than regular state lotteries. On Tuesday night, gamblers across USA were hoping to win big as winners of grand jackpots could win almost $200 million. State lotteries offer only around $100 million with draws only once a week. With Mega Millions and Powerball, the jackpots grow quickly as gamblers from many states contribute to the prize pool. The large jackpot from Mega Millions of the holiday season did not match any winning numbers during Christmas so the prize was expected to be around $196 for Tuesday’s drawings. The cash payout was a mammoth prize of $126.6 million – a onetime lump sum payment for one lucky winner. Forty-two states currently offer the Mega Millions game with many having their own weekly lottery draws. Anne Arundel County has given initial approval to Baltimore based Cordish Cos to build what is expected to be the state’s most lucrative slots parlor in the Arundel Mills Mall. The 4,750 slots casino is being constructed in two phases. The first is a temporary casino in the first floor of an approximately eight-storey parking garage with two-thousand slot machines which is slated to open next year. The second phase is the permanent casino structure, which will have a music venue and many restaurants is expected to be completed by late 2012.